Want to learn more about the Kia brand? Citrus Motors Kia can help you out. You can learn all about Kia safety ratings, technology features, interior amenities, and more! Whether you’re more curious about performance features or infotainment and connectivity, we can help you out. We’re proud to be your Ontario Kia dealer, and we want to help you stay up to date with features and news. Spring Time Used Car Super Sale!!!! Beat the rush and get your deal today!! 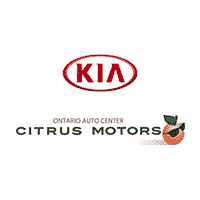 Citrus Motors Kia	34.0494942, -117.55393.